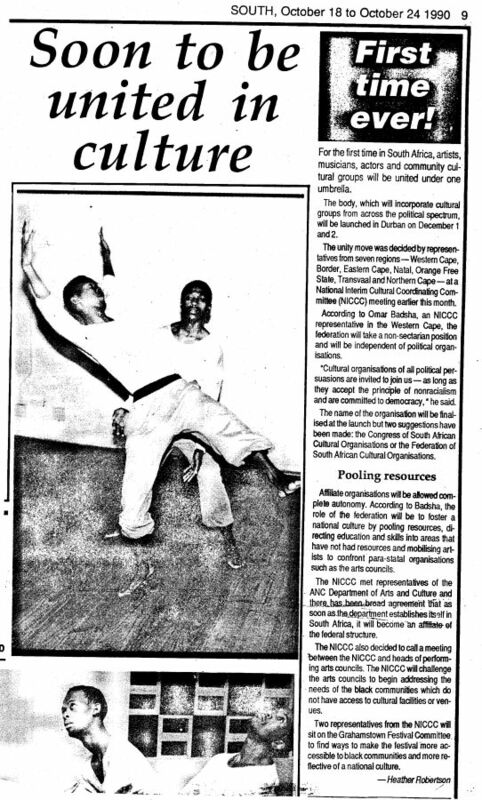 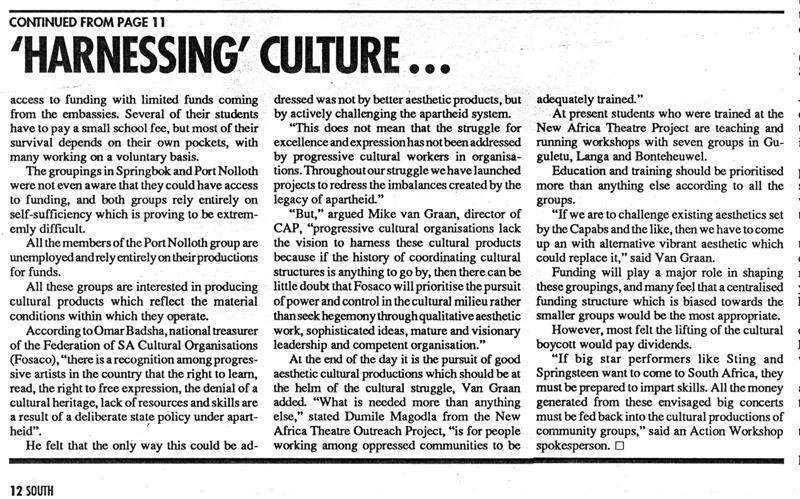 Federation of South African Cultural Organisations (Fosaco) was an initiative to establish a representative national structure for cultural workers. 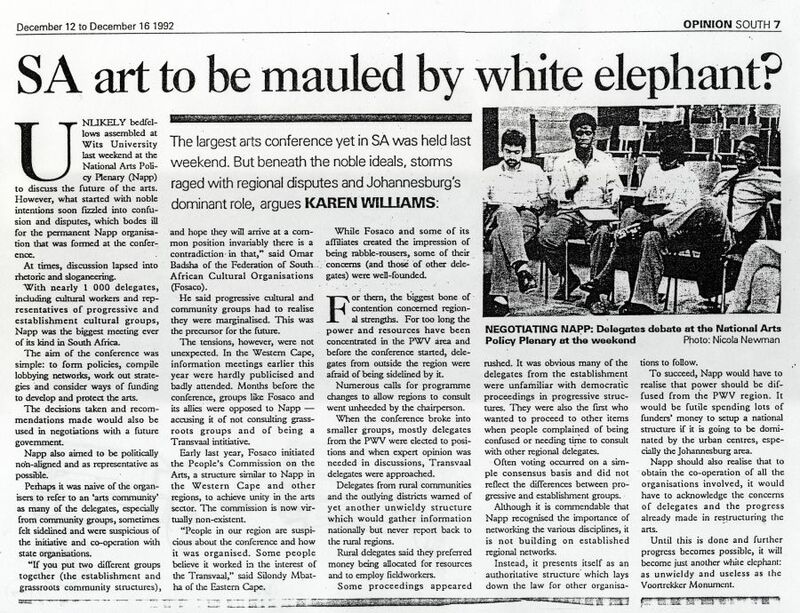 It grew out of a national consultative conference in Johannesburg, 1990, when the Transvaal based National Interim Cultural Desk was rejected as unrepresentative by regional delegations from all parts of the country. 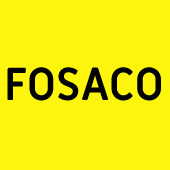 FOSACO was the first civil society initiative to begin the process of developing a new national cultural policy, and campaigned for the democratization of parastatal cultural organisations. 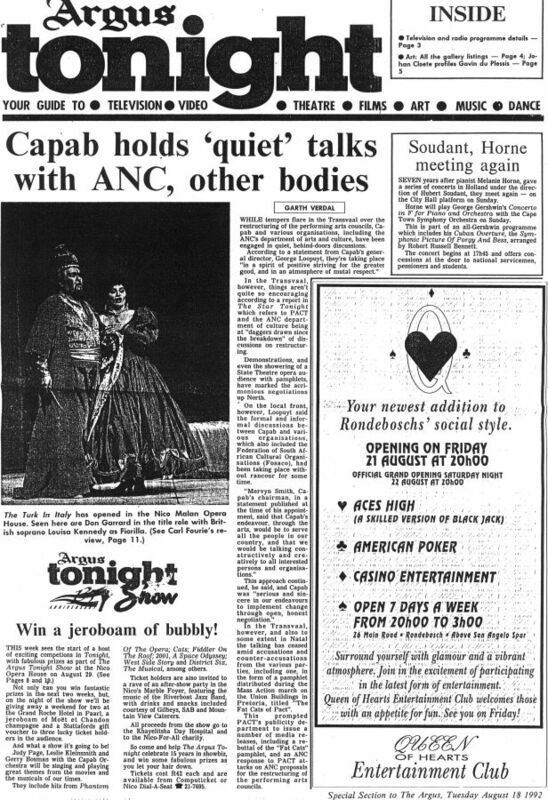 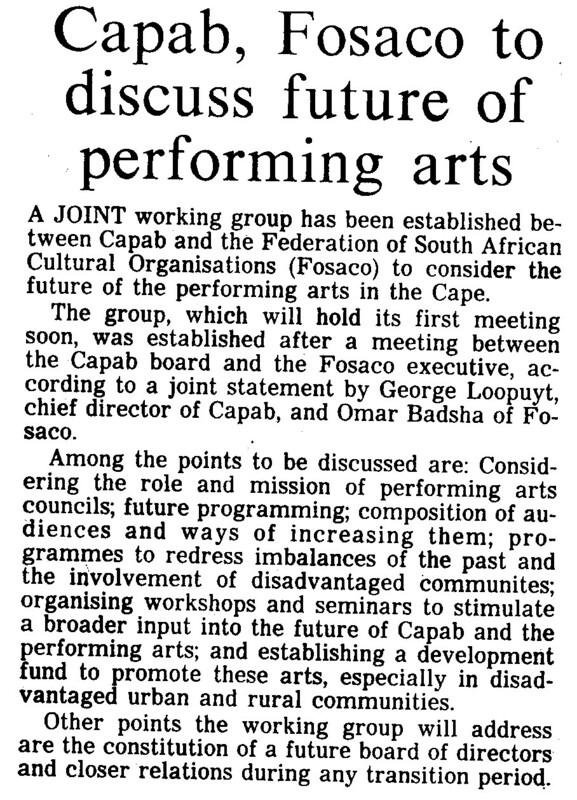 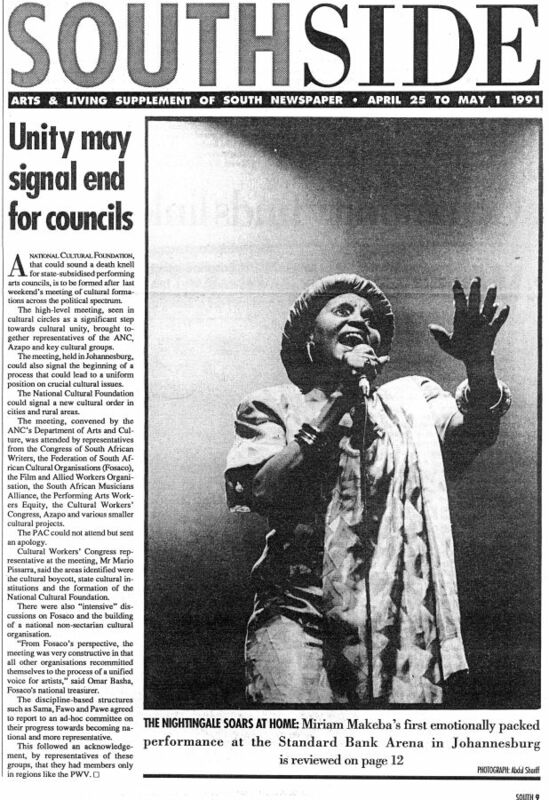 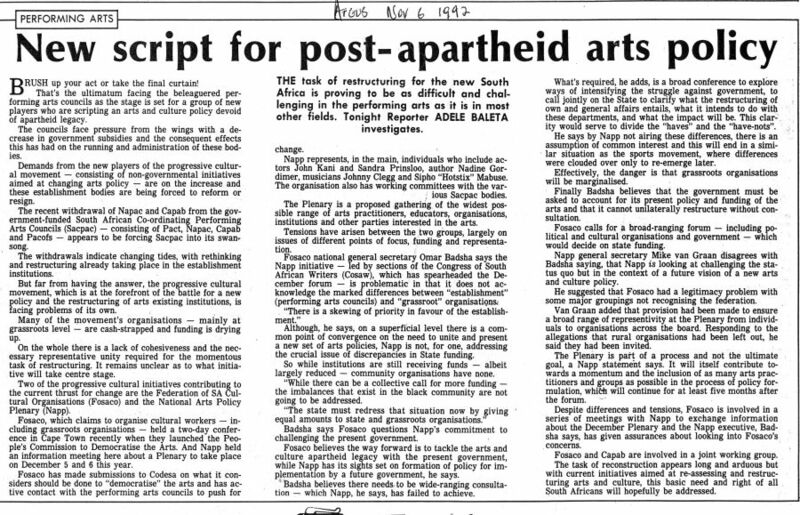 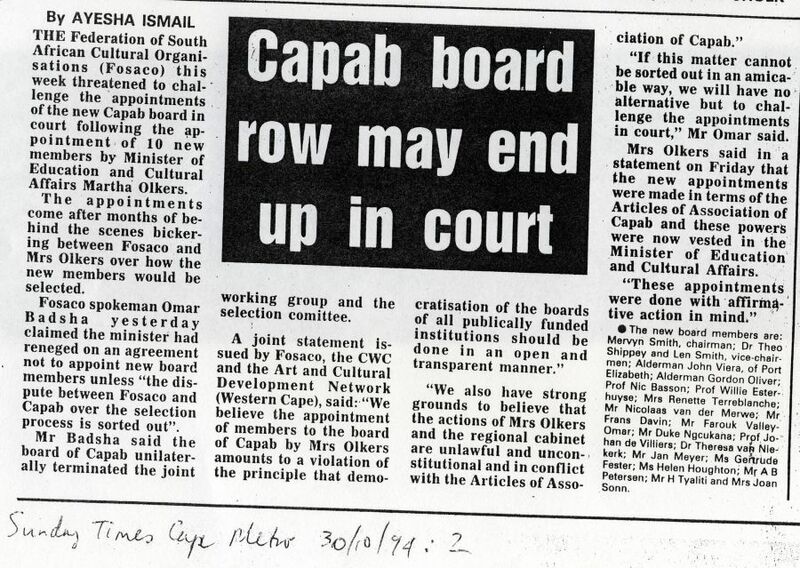 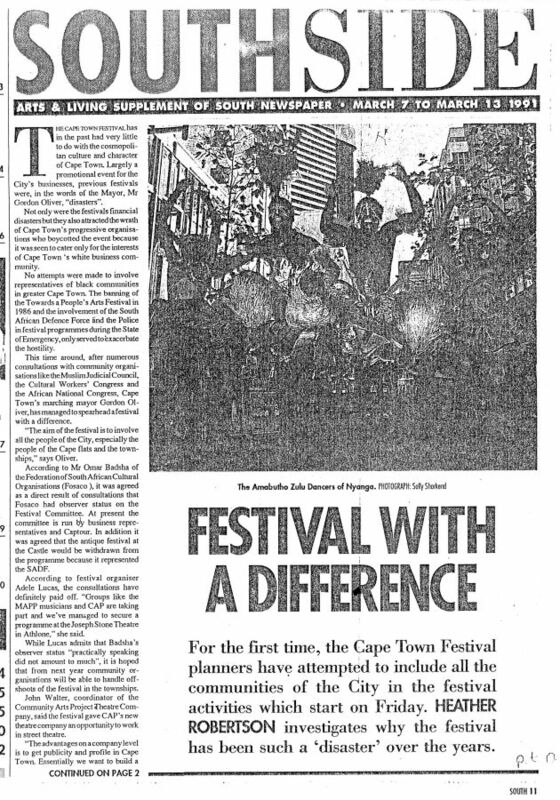 Initially supported by the ANC Department of Arts and Culture (DAC), FOSACO adopted a politically non-aligned position (but unambiguously part of the broad liberation movement), and clashed with the DAC. 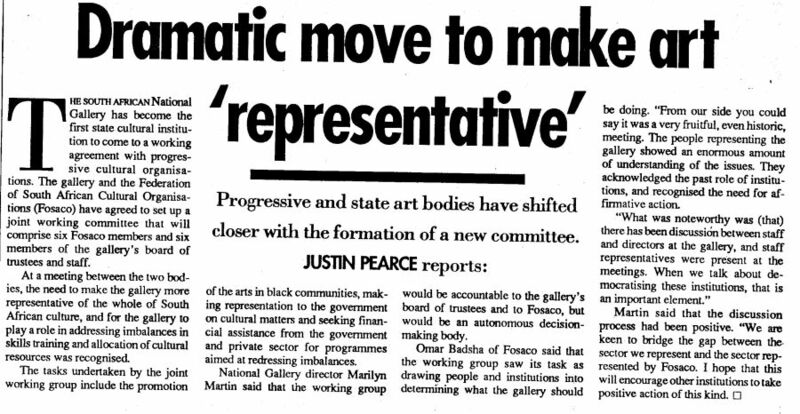 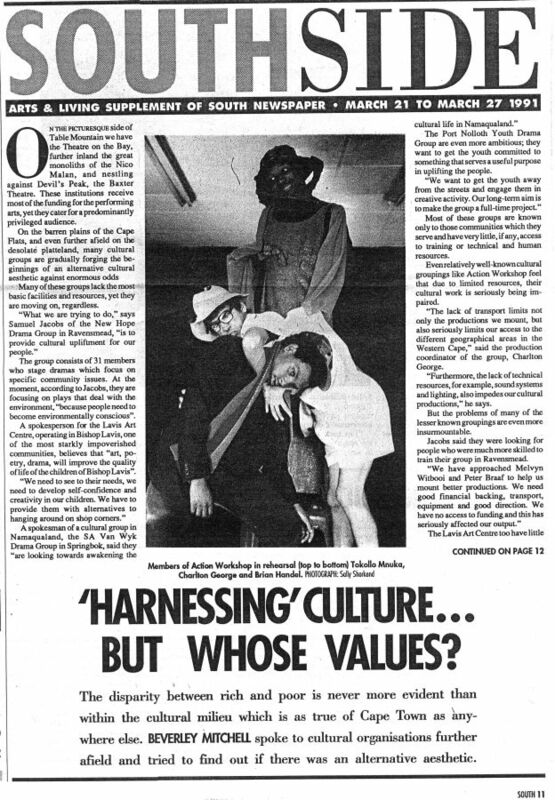 FOSACO collapsed after it was outmaneuvered by the business friendly National Arts Policy Plenary (1992, later the National Arts Coalition). 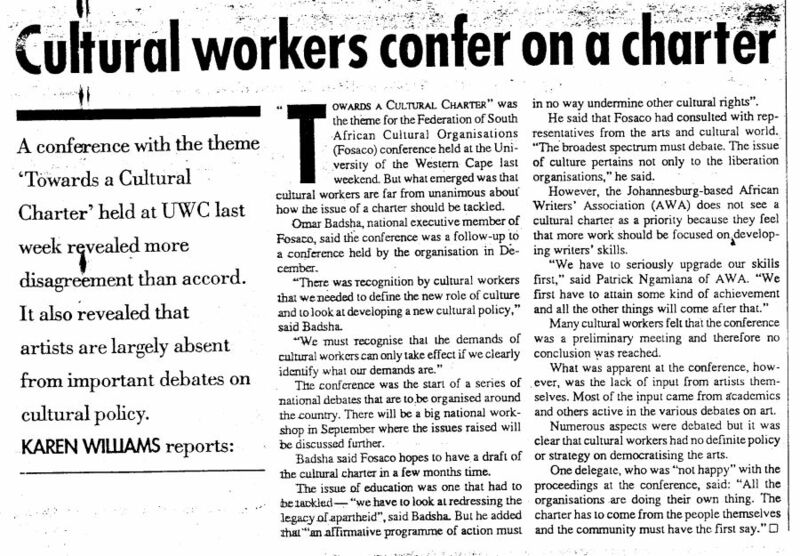 FOSACO organized the ‘Towards a Cultural Charter’ conference at the University of Western Cape. 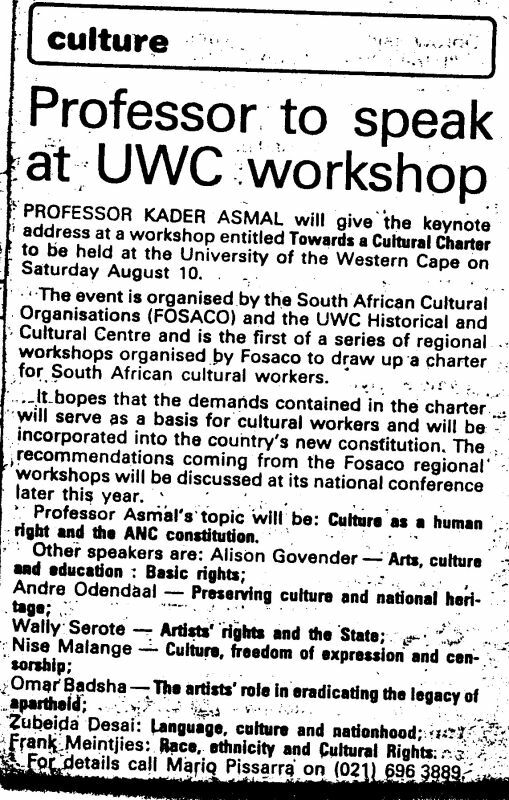 It was opened by Prof Kader Asmal , and featured deliberations on a number of themes, for which several prominent cultural workers presented papers.